It’s a while since I wrote about the happenings at Mas Coutelou, so time for an update. I am thankful to Jeff, Vincent and Julien for keeping me up to date in my absence. The first few months of 2017 have been damp in the Languedoc, a contrast to the arid 2016. The photos by Julien above show water standing a week after rain and his feet sinking into the soil as he pruned. Jeff had planned to plant a vineyard of different types of Aramon at Théresette next to La Garrigue which has lain fallow for the last few years. However, the soil remains very damp and planting has not been possible, unless things change quickly the project will be postponed until next year. For the same reason, the first ploughing would have begun by now in most years, but is on hold for drier conditions. Julien completed pruning (taille) around March 10th. He photographed the first budding (débourrement) amongst precocious varieties such as the Muscat. However, Jeff told me this week that, generally, budding is later this year, the damper, cooler weather again responsible. That is not necessarily a bad thing. Remember that frost can cause great damage to vines, especially buds, and the Saints De Glace (date when traditionally frost risk is over) is May 11-13. I recall visiting the Loire last April and seeing frost damage, whole vineyards with no production for the year. The weather conditions are favourable for something, sadly not good news either. Snails, which ravaged large numbers of buds and leaves in Flower Power and Peilhan last year, have found the damp much to their advantage. They are a real pest, a flock of birds would be very welcome or we’ll see more scenes like these from 2016. Of course, one of the reasons why birds and hedgehogs are lacking is the use of pesticides by most vignerons in the region. In the cellar the new office and tasting room is complete. Our friend Jill completed a montage of Mas Coutelou labels which we gave to Jeff as a gift. Hopefully that may decorate the walls of the new rooms. The floor which was half covered in resin last year has been finished all over and another new inox (stainless steel) cuve has arrived. (photos by Vincent). On March 22nd the assemblages of the 2016 wines took place. Or at least most of them. One or two cuves still have active fermentation with residual sugar remaining but otherwise the wines were ready and the conditions were favourable. I won’t reveal what cuvées are now blended, that is for Jeff to unveil. However, I can say that the reduced harvest of 2016 means fewer wines are available and fewer cuvées made. In the next article I shall be giving my thoughts on the 2016 wines from tastings in October and February. Finally, there was an award for Jeff himself. On March 30th he was made an official ambassador for the Hérault by the Chamber of Commerce of the département. This was an honour for Jeff himself and the generations of the Mas and Coutelou families who made the domaine what it is. Founded in the 1870s at 7, Rue De La Pompe by Joseph Étienne Mas who planted vines and kept cows after he had fought in the Franco – Prussian War of 1870-1. Five generations later Jeff is an ambassador for Puimisson, vignerons and the Hérault and with his wines he is really spoiling us. Categories: Vignerons, Vines, Wines | Tags: 7 Rue De La Pompe, ambassador, Aramon, budding, débourrement, frost damage, Jeff Coutelou, Joseph Etienne Mas, Julien, Languedoc, Mas Coutelou, pruning, Saints De Glace, snails, taille, Théresette, Vincent | Permalink. I had heard good reports about Karim Vionnet’s wines and I enjoyed the lighter non-oaked versions in particular. Du Beur Dans Les PInards 2015 had well balanced fruit and depth, very good Beaujolais. The light, straightforward Chiroubles ‘Vin De KaV’ 2015 would please anyone, though added sulfites seemed unnecessary. The Roussillon is home to many excellent winemakers and I had seen some rave reviews about Riberach so it was good to taste their wines at last. Riberach is a collection of grower, winemakers and others with 20ha of vines certified by Ecocert. I liked the wines in general especially the white wines. Hypothèse Rouge 2011 had good fruit and mineral mouthfeel but top for me was the Hypothèse Blanc 2014. The red is based on Carignan Noir, the white on Carignan Gris – a Carignan whitewash for me. The highlights of the Montpellier tastings in January included Chateau Meylet from St. Émilion and, perhaps, Bordeaux based wines are making a comeback in my affections as Chateau Massereau based in Barsac was a favourite here. Certainly the Sauternes wines were a real delight (La Pachère lighter than Cuvée M) but the reds were the core wines, I liked them all but especially the Cuvée Socrate 2009, picked early for freshness which shone in the glass. A word too for a really good Clairet 2015, weightier than a rosé with 48 hours of skin contact, fruity, light and delicious. Another Austrian producer makes my list, it really is a source of some of the best wines at present. I presume Eduard Tscheppe is somehow related to the excellent Andreas whose wines I have praised so often on here. Together with his partner Stephanie they make very attractive and drinkable wines. So popular that they ran out of wine early on the Sunday so I made a bee line for them on Monday morning. The Theodora (weiss) 2015 was very mineral but plenty of fruit too, complex and good. my other favourite was Emmeram 2015 made from Gewurztraminer, not everybody’s favourite grape but this was long, fruity, exotic and just a touch of residual sugar to add a pleasurable finish. More from Austria and amongst the best of its producers, another to run out of wine early. Delicious Foam White 2015, a petnat with superb freshness and depth after 15 months on lees. Graupert Pinot Gris 2015 had chewy fruit (2 weeks on skins) and a lovely clean finish. The two Konkret wines (raised in concrete eggs) were particularly good, proof that ageing wines in this style does work well. The white had lovely peachy aromas and long fruit, the red was clear, direct and long. The Zweigelt 2015 was a highlight, beautiful precise fruit and a mineral, clean finish. I should also praise the delicious Foam Cider. So much did I like the wines and cider from Meinklang that I immediately ordered some. I tried wines from quite a few East European producers and was a bit disappointed by them. However, Batic, a Slovenian producer, was outstanding. A lovely 2016 Cabernet Sauvignon but the real star was Angel 2011 a blend of 7 varieties complanted in the vineyard, 31 days on skins and 4 years in barrel. How does that make such a light, fruity, pleasurable wine? I don’t know but it was a terrific wine. Excellent Italian wine based on Sangiovese and Cabernet Sauvignon. Freshness was the hallmark of the wines. Particular favourites were Vigna Alla Sughera Rosso 2013, lovely sharp cherry flavours. The Vigna Al Mare 2013 had real Cabernet profiles of blackcurrant. Vino Rosso Base 2014 was a light blend of the 2 grapes and very drinkable. A very good tasting offering the opportunity to taste wines from many countries. Natural wines are on the up, producers emerging not just in the traditional hotspots of France and Italy. One well-known wine writer recently suggested in a description of one wine that natural wine is a fashion. Apparently she is unaware that they have been made for almost 40 years, they are no fad. More producers, more customers, more restaurants – the demand for natural grows every month. I remain unconvinced by amphorae, some producers are mastering the technique but there is a lot of clumsy, inexperienced use at present. Concrete eggs on the other hand do seem to be more sympathetic to the wine. Most producers at RAW were certified organic or biodynamic. It is important that consumers should be confident that their wine is really natural. The wine described by the critic was made SO2 free but not organic, to my mind (and in RAW’s charter) that would not be a natural wine. I also did wonder why some producers continue to feel the need to add sulfites to the wine. Natural wines are here to stay, they will hopefully become known as simply very good wines. The wines described in the last 3 articles should help to provide many examples of such very good wines. And that is without covering the wines of such illuminati as Cornelissen, Gravner and Texier. Categories: Tasting, Wines | Tags: Barsac, Batic, Beaujolais, Cabernet Sauvignon, Carignan Gris, Carignan Noir, Chiroubles, Clairet, concrete egg, Foam, Gewurztraminer, Gut Oggau, I Mandorli, Massereau, Meinklang, Pinot Gris, RAW, RAW wine fair, Riberach, Roussillon, Sangiovese, Slovenia, Tscheppe, Vionnet, Zweigelt | Permalink. As my last article said RAW promotes wine “in a natural state; not treated by manufacturing or other processes.” However, those vignerons who do work to make wine as naturally as possible might argue that wines with SO2 levels over 20mg/l are not truly what they would mean by natural. 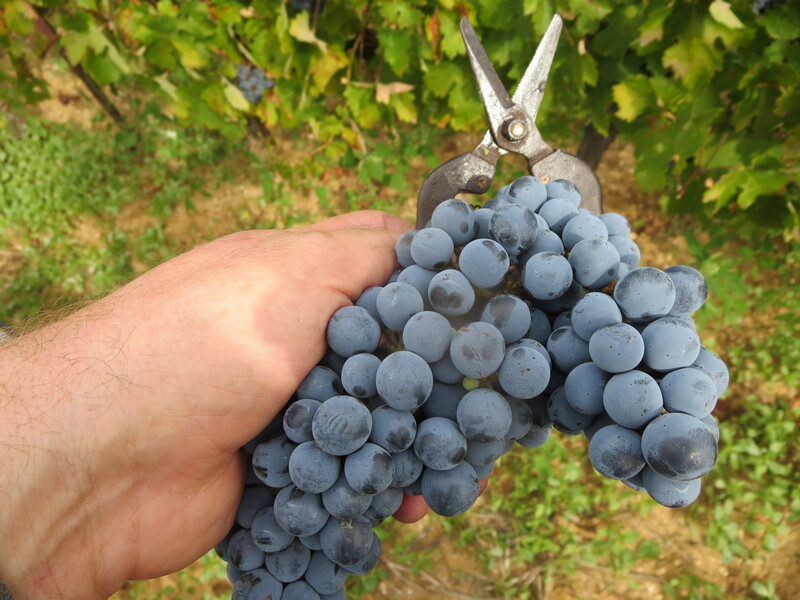 No doubt Isabelle Legeron would regard measures of one particular substance as not the whole issue about natural wine and she would be correct, especially regarding work in the vineyard. Nonetheless the RAW guide itself listed producers with no added sulphites, those with <35mg/l and the others. Some producers cross these boundaries making some wines with added SO2 especially at bottling whilst other bottles are sulphite free. My favourite producers who mostly add no SO2 are described below, apologies to those I did not get to. I have included links to the excellent RAW website which has details of all the bottles. Have a look to at David Crossley’s articles, more detailed and descriptive than I can manage. My favourite wines were those of The Scholium Project as I described last time, some of whose wines are sans sulfites. However, of those producers working wholly without sulphites, top of my list was the Aosta Valley producer Selve. Since this domaine was taken over by the Nicco family in 1948 they have been making wine naturally, in the early days selling it to local people on tap! Three generations later the wines continue to be made with respect to the terroir and nature. The grape here is Nebbiolo, one I often find difficult to like but here it was stunning, such vibrant, pure wines with structure typical of the grape but also delicious round dark fruits. The main bottling is Picotendro. The 2012 was deep and complex but very drinkable even now. However, Jean louis also produced a 2012 aged in chestnut wood rather than oak and that was on a higher plateau altogether. Four years in old wood had softened and rounded the wine and added a nutty complexity,. In special years the family produce a cuvée called Pantheon and I tasted the 2003. Certainly there were signs of its 14 years, a brown edge to the colour but the wine was youthful, in good form and full of life ahead. It was simply delicious, balanced and pleased palate and brain. This is the domaine who showed me that their analyses show virtually no sulfites in the wine, less than 2mg/l mostly. A great discovery for me, salve Selve! I had planned to taste more Spanish wines at RAW and I must admit I failed to do so. 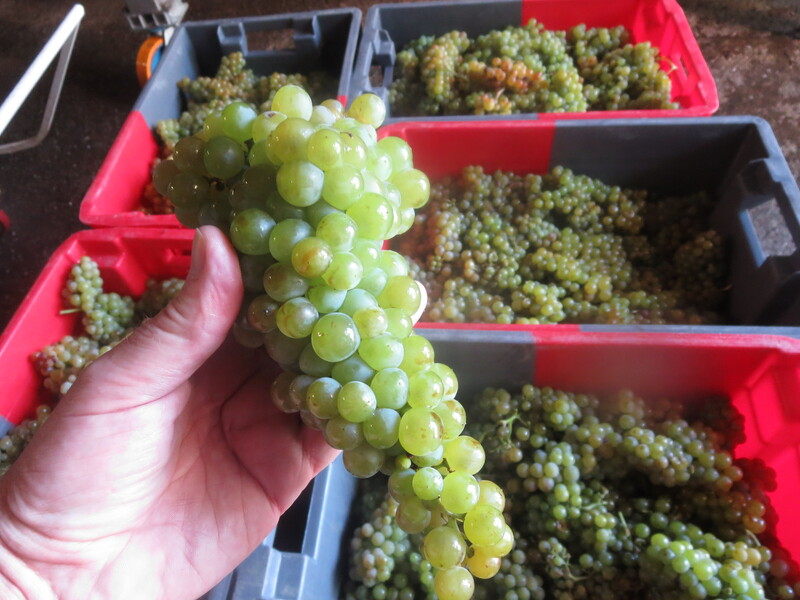 Of the half dozen I did taste Uva De Vida stood out a mile. Based near Toldeo, Carmen López and Luis Ruiz manage their vineyards biodynamically (Demeter certified) and I love their quote from the RAW biography, “The earth does not belong to man, but man belongs to the earth”. That should be the philosophy of every winemaker, indeed everyone. 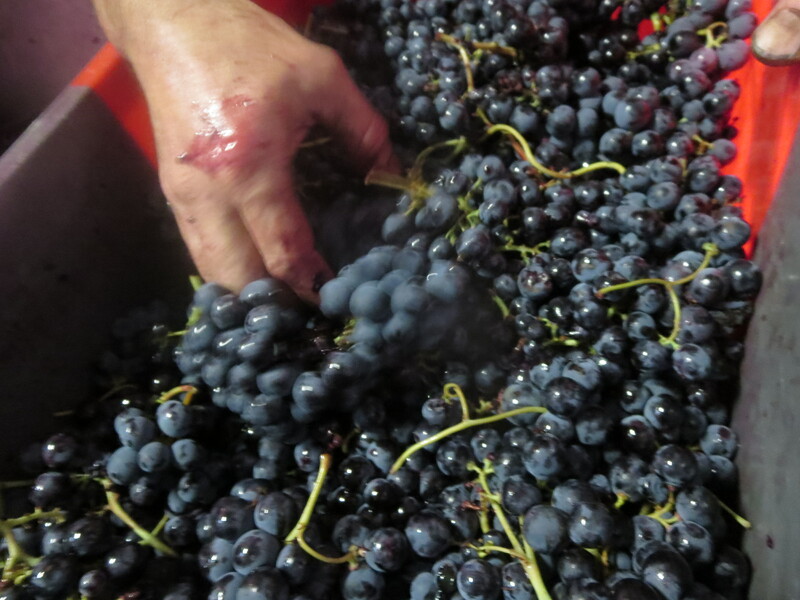 The wines are made with the Graciano grape. It was the Latitud 40 wines which impressed me so much. The 2012 Crianza had real energy and the 14 months in old oak added spice to a red fruit profile. The Castilla cuvée was offered from 2014 and 2015. 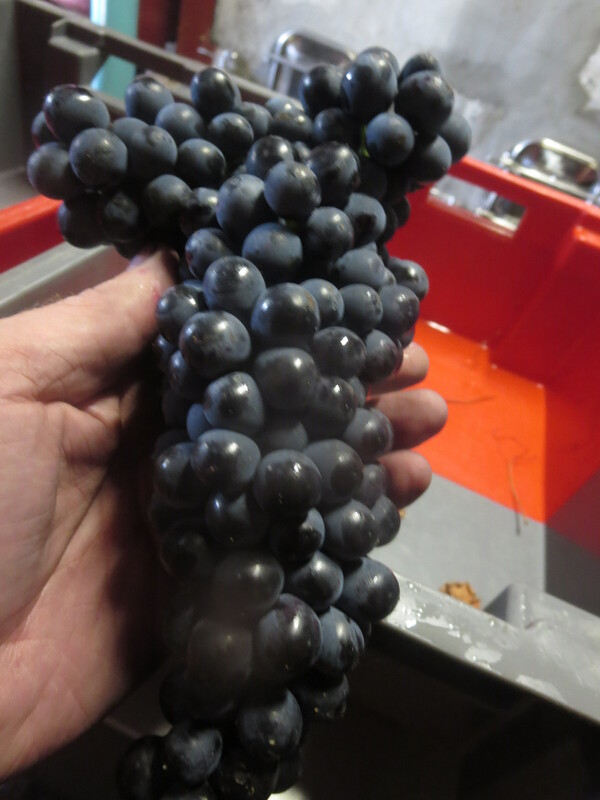 The 14 was bigger, spicier and had lots of power and depth but always balanced by fruit and life. I actually liked the 15 better, no oak and there was actually even more spice and complexity. Pure, well made wines. Austrian wines have rapidly become amongst my favourites in the last 2-3 years, producers such as the Tscheppes, Preisinger, Meinklang and Pittnauer have really excited me. The same was true at RAW and this was a new domaine to me. Low intervention, including virtually no use of machine in the vineyard together with no added SO2 is not an easy choice for a young winemaker but Alexander and Maria succeed in producing lovely fresh wines, white and red. There were numerous cuvées on offer and all were good. My white wine highlights included a skin contact wine which still had plenty of fruit and zest as well as complexity (Welschriesling Maischevergoren 2015), a fascinating, lively field blend of varieties Gemischter Satz Maischevergoren 2013 again made with skin contact and best of all a beautiful Weissburgunder Unfiltriert 2016, loads of grapefruit, melon and long flavours. 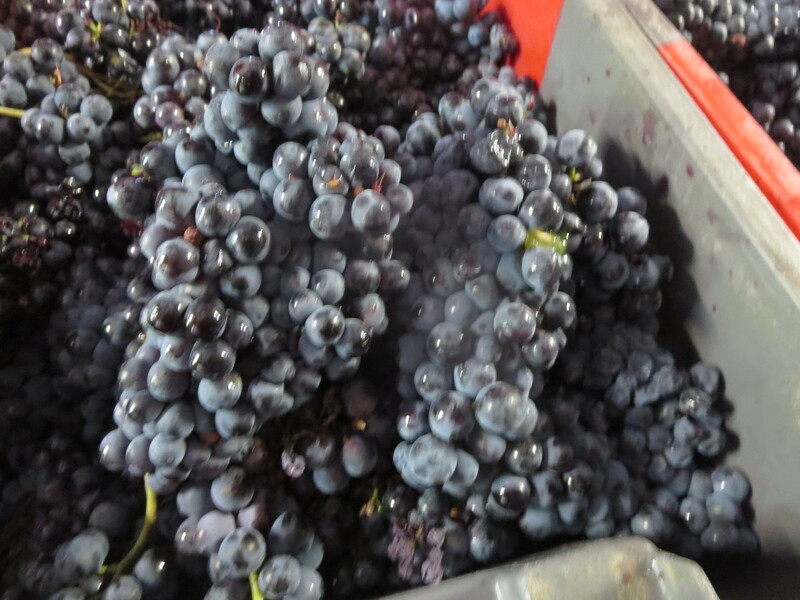 My favourite reds were both from the St. Laurent grape, the Unfiltriert 2015 had beautiful clarity and fruit whilst the vat sample 2016 was as good if not better. 2016 was a harsh year for winemakers in Austria with yields well down and this St Laurent is testament to Alexander’s skill. My liking for recent vintages suggests that the wines are improving as the domaine progresses. Two sisters, Susanne and Stefanie, in the early years of their winemaking and already producing very good wines.My two favourite wines here were both called Waiting For Tom, in tribute to the two men with whom they learned about winemaking, Tom Lubbe and Tom Shobbrook. They clearly were good teachers and students. The rosé 2016 made from Zweigelt was one of the best rosés I have tasted, lovely aromas of fresh red fruits and citrus carried into the taste. Light, refreshing – a perfect rosé wine. The red 2016 combines Pinot Noir with Blaufrankisch and St. Laurent and has so much life, freshness and joy. Champagnes formed many of the highlights of the January Montpellier tastings and again here at RAW. This domaine works organically (Ecocert) and uses horses to hoe the soils, no dosage, no added sulphites either. The Vibrato 2012 was lovely, slightly yeasty (which is how I like champagne). Refreshing, long flavours and bettered only by the 2013 where the fruit was even more prominent. I’d have these in my cellar every time. I have sung the praises of this domaine a few tomes on this blog, Alexandre works biodynamically (Ecocert and Demeter) and adds nothing to the grape juice. His pure way of working has got him into trouble with authorities in the past even though these are the purest examples of Pouilly Fumé! All 3 cuvées on offer were excellent, my favourite the Pierre Précieuse 2015 with its clean fruit and , yes, minerality. I do think he is a winemaker at the top level. Oronce De Beler makes wines in Vosne-Romanée but is not a vigneron, he makes his wines from bought in grapes from organically grown sites. He works naturally with little or no SO2. Let’s face it when red Burgundy is made well there are not many better wines, hence the high prices these days. I liked all the wines here they showed good balance of fruit and complexity, promising long life in bottle as well as pleasure now. Favourites were the Fixin Les Clos 2015, tannins bolstering lovely fruit and a top class spicy Vosne-Romanée Aux Réas 2015 of great depth, all spice, red fruits but plenty of ripe tannins too. I admit to some partiality here as I know these wines well, they are amongst my favourite Faugères wines and, if you know this site you will know that Faugères is my favourite Languedoc region. Catherine Roque made wines at Clovallon (now run very well by her daughter) and acquired Mas D’Alezon in 1997. Demeter certified and working sans sulfites has added zest to the wines and the classic Faugères is lovely but the wine which wowed me here was a new one to me. Le Presbytère 2016 has Cinsault and Carignan but also Lledoner Pelut as the major part. I only know of a few domaines working with the grape and, if winemakers drink this bottle, they will be clamouring for the vines. Delicious, drinkable, clean red fruits but with a depth and coffee notes on the finish. One of the wines of the tasting. I should mention Clot De L’Oum in the Roussillon and Domaine Rapatel in the Gard who also offered some lovely wines. Also special mention to Olivier Cohen whose excellent wines I described here from a previous tasting. Categories: Tasting, Wines | Tags: Alexandre Bain, Aosta, Azienda Vitivinicola Selve, Catherine Roque, Clot De L'Oum, Fixin, Graciano, Koppitsch, La Maison Romane, Latitud 40, Laurent Bénard, Le Presbytere, Lledoner Pelut, Mas D'Alezon, Nebbiolo, Olivier Cohen, Pantheon, Picotendro, Pouilly Fumé, Rapatel, RAW, RAW wine fair, Renner, Rennersistas, Selve, Uva De Vida, Vosne-Romanée, Waiting For Tom, Weissburgunder, Welschriesling | Permalink. French anthropologist Claude Lévi-Strauss proposed that cultural commonalities and differences and similarities are based on everyday opposites such as raw and cooked. I was reminded of that in attending the annual RAW Fair in London March 12th and 13th. It too served up some opposite emotions, to mix my metaphors a game of two halves. There begins my reflection of opposites after attending. Yes there were many wines there which were not treated by manufacturing or other processes but there were also many which, to my mind, are about wines being manipulated by various techniques and by additives, as up to 70 mg per litre of added sulfites are allowed for RAW. Are these natural wines? As there is no actual binding definition then I suppose they are but I doubt that some of the wines at the Fair are truly in the spirit of natural wine. During the posts which I will write about the event, the most important Fair in the UK based on natural wines, I shall be writing about different categories based on the amount of SO2 used. The game of two halves? Well, that refers to the two days. Sunday was open to the public as well as press and trade and it was very, very busy. Crowds around the tasting tables, wines running out, no seats for eating, very warm conditions do not make sense of for an optimal tasting experience. Plans for the day (to taste everything bar France, Italy and Spain) were put aside as it was more a case of find a table where it was not necessary to barge through to the wine. The effect was that I was probably too harsh in judging the wines that day, my mood was affected. Monday was much more like it, more opportunity to access the tables, talk to the producers and, it was when I tasted my favourite wines of the weekend. Amphorae. It is THE most trendy winemaking technique, ferment and age your grapes in clay amphorae, usually 800l or bigger. I have tasted and enjoyed quite a few amphorae wines but generally I am not partial to the drying effect they have on wines (in my opinion). They do seem to give a sense of licking the clay container before drinking the wine ( a description given to me by my friend David Crossley). 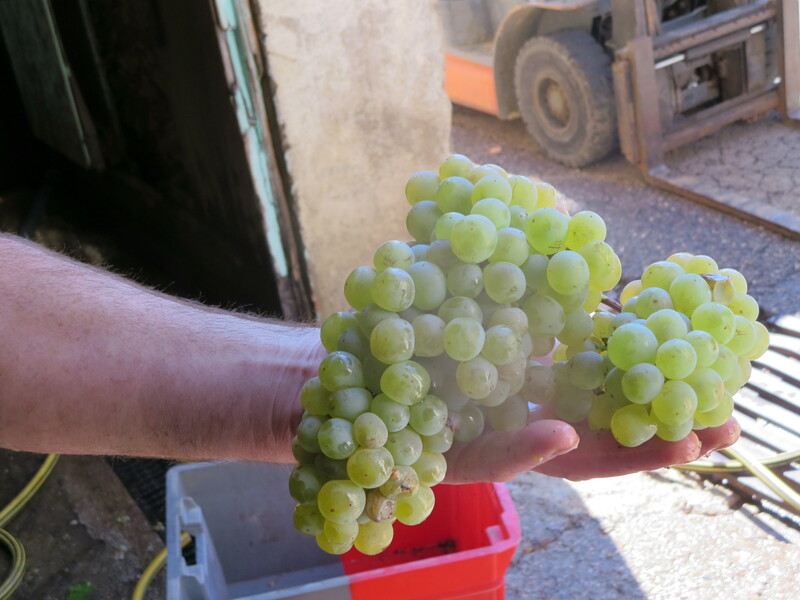 Winemakers do add a manufacturing process to their wine and quite rightly experiment to make the wines they want, but I don’t necessarily always enjoy the results. I prefer my wine truly raw rather than cooked earth. Young and old. The natural wine movement is growing. Producers from all around the world, traditional producers experimenting with lesser amounts of sulfites (it was interesting to see a big name from Burgundy at RAW) and most of all amongst younger wine drinkers. It seems to be true that younger wine drinkers, perhaps less weighed down by conventional expectations of what makes good wine, are attracted to natural wines. Those who predicted its demise are being defied by this growing band of supporters. I heard accents and languages from all around the world, long may it continue. And, meanwhile, older wine enthusiasts like myself can appreciate the energy and life in the wines and the people linked to them. Faults. Critics of natural wines most often levy accusations of faulty winemaking. I tasted several hundred wines during RAW and I found faults in less than a dozen, mainly mousiness and two corked wines. Some are a little volatile and acidic but personally I enjoy such wines if the volatility is not completely out of control. The winemakers should be praised for their skill, the % of faulty wines was certainly a lot less than the % of dull wines I taste at many conventional wine tastings. The two days were very enjoyable overall despite the crowding on day one. I was able to get round most tables and to taste some excellent wine. The next posts will describe some of those and some conclusions I drew from the event. The RAW website has excellent profiles of the producers and the wines on show, I will provide links to this site whenever I can. Let me start with my favourite range of the weekend which epitomises the feeling of opposites I had after RAW. Abe Schoener is a winemaker who pushes the boundaries, restless in trying to improve his wines. The wines are superb, very drinkable yet with great complexity. They made me smile, gave me great pleasure but also made me think. By accident as much as design it was found that by not topping up the barrels and not using pigeage the juice protected itself, the cap of skins helping rather than hindering. Indeed the Chardonnay, Michael Faraday 2014, developed a flor like sherry does. The result was pure juice, no hint of off notes either in aroma or taste. I liked all four wines on show, but especially the 26 day skin contact, no SO2 added Sauvignon Blanc, The Prince In His Caves 2015, and the Petite Sirah, Babylon 2013, which spent 3 years in barrels, again not topped up. I would normally be put off wines aged for so long in wood, I am not a great fan of too much skin contact yet here the wines were full of life and energy. Truly outstanding wines. See what I mean about contradictions and opposites! RAW played with my expectations and prejudices. Next time: the sulfite free wines which pleased me. Categories: Tasting, Vignerons, Wines | Tags: amphora, amphorae, California, Isabelle Legeron, Mousiness, RAW, RAW wine, RAW wine fair, Scholium Project, sulfites, sulphites | Permalink. Two years ago I wrote an article whose title was a quote by my historical hero Louis Pasteur, “Wine is the most healthful and most hygienic of beverages.” Well my recent visit to the Languedoc gave me cause to doubt that Pasteur was wrong, in at least half of his statement. A friend (Chris) drew my attention to a website showing the quality of water in every commune throughout France. The results for the area of the Hérault centred around Puimisson, Puissalicon, Espondeilhan and Thézan-lès-Béziers showed that they along with other communes in the area have poor quality drinking water. So why is that? Simply put it is agricultural pollutants and in this area what that means is pollutants from vineyards. In particular it means pesticides getting into the drinking water. The area is full of vineyards, mostly managed under a régime of chemical intervention. 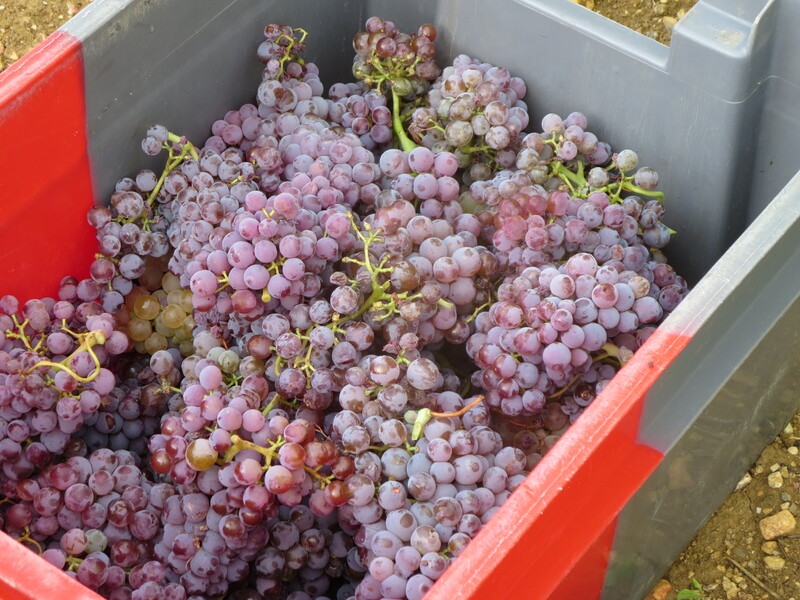 Weedkillers, herbicides, fertilisers are all used to ensure maximum yields as vignerons are paid by the quantity of grapes they produce, though they do have to respect the maximum yields permitted by, for example, AOP regulations. Unfortunately when it rains, and it often rains very hard in the Hérault, the chemicals are often washed from the vineyards onto the surrounding roads and into the drains and sewers. I was talking to an Italian vigneron in January and he was telling me that, as an organic producer, he was shocked at the last vendanges. 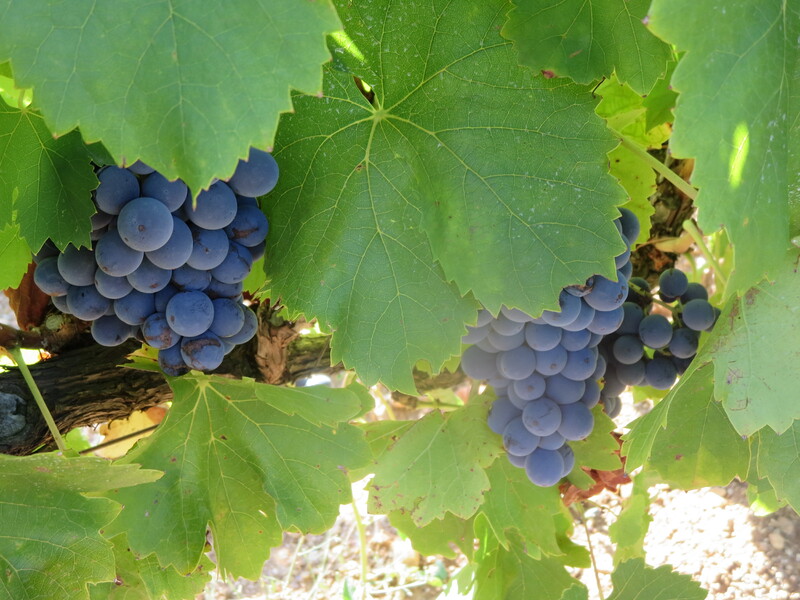 His lovely grapes were growing on vines which had already begun to shed their leaves or were changing colour as the energy of the plant had been channelled into the fruit rather than the leaves. He felt somewhat embarrassed as his neighbours’ vines were pristine, bright green and laden with grapes. That was the result of the chemicals and nitrates sprayed on to those vines, whereas his were treated only with organic tisanes. That is the same experience which I have observed in the area around Mas Coutelou. Jeff’s vineyards are surrounded in the main by conventionally tended vines. I remember him telling me as we stood in Rec D’Oulette (the Carignan vineyard) to look around at the bright green sea of vines with his own vines looking rather tired in comparison. Well, the chemicals which make the greenery and heavy crops are polluting the water. The drinking water of the very place where the vignerons and their families live. When Pasteur spoke about wine being healthy and hygienic he was speaking at a time when most drinking water was polluted, even untreated. He was right, wine was healthier and cleaner than the water. And now, ironically, it is wine production which is making the water of ‘very bad quality’. Nevermind the 100+ additives which are legally allowed into wine, the wine is also a pollutant. That is why I challenge Pasteur’s claim. I am amazed that this report created so little reaction, surely the very water which nourishes the vines and slakes the thirst of wine producers should be be safe to drink? At what cost are we producing wine unless producers take more seriously the effects of their farming methods. And you wonder why I prefer to drink mainly organic and natural wines? Categories: General, Vignerons, Vines | Tags: effects of viticulture, herbicides, Languedoc, Pasteur, pollution, water quality, weedkillers | Permalink.